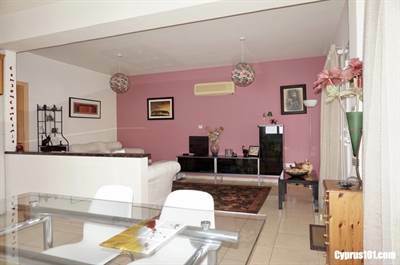 This spacious penthouse apartment is conveniently situated in a popular residential area of Kato Paphos. Both Paphos Town and the touristic amenities of Kato Paphos are a short drive away and the local bus service is within easy walking distance. A particular highlight is the spacious partially covered terrace which with the addition of UPVC windows and fitted sink/cupboard unit, is a perfect all year round outdoor leisure space suitable for relaxing, BBQ’s and dining/entertaining.